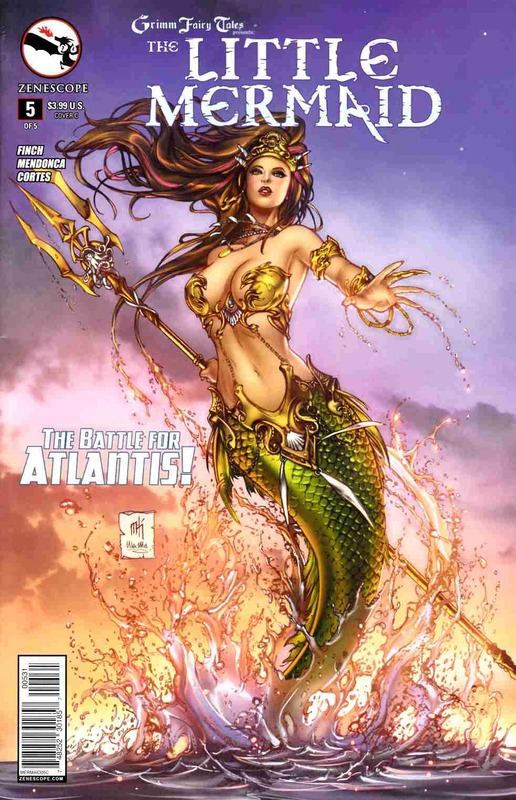 Zenescope's brand new re-imagining of a classic concludes! In the dramatic, not to be missed finale of the Little Mermaid, the true motives of the Sea Witch are revealed as Erica learns the price of her freedom. And the cost may be more than she is willing to bear! Meanwhile, the King of Atlantis makes a decision that may change the ocean forever. Do not miss the epic conclusion of the Little Mermaid!